Zurich-based mobile software developer Myriad Group has announced the launch of "Alien Dalvik", an emulator which will enable unmodified Android apps to run on devices not using the Android OS. App stores will be able to add Android apps to their repositories and they will be able to use Alien Dalvik to simply repackage the Android Package (APK) files for any device. Myriad promises that the repackaged Android app will run seamlessly and can be installed and uninstalled like any other native app. This is of course a lofty claim, which will have to be tested in real world scenarios. However, the video shows that Alien Dalvik works quite well on a Nokia N900, running MeeGo. 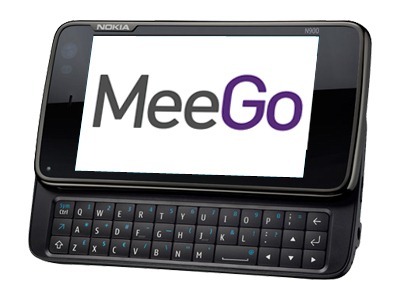 Myriad will be officially Alien Dalvik on the MeeGo platform later this year, with a demonstration at the MWC. Support for other platforms will be announced in the coming months. Simon Wilkinson, CEO of Myriad Group, intends to extend Android "to other platforms" by "opening up the market even further, creating new audiences and revenue opportunities". Right now Android and iOS are the clear market leaders in Apps. However, if Android apps suddenly become available to all other smartphone platforms, such as BlackBerry OS, Symbian and Windows Phone 7, Android developers will have an added incentive to create better apps. I assume most readers of AP already have an Android phone and this piece of news will not be particularly exciting, however consider for a minute the potential for Android apps if they are able to run on all devices. DUEBENDORF-ZURICH, Switzerland – 08 February 2011 - Myriad Group AG (SIX: MYRN), a global leader in mobile technology having shipped over 3.7 billion software applications on more than 2.2 billion phones, today announced the launch of Myriad Alien Dalvik, enabling Android apps to run on non-Android platforms. The launch opens up the Android experience to new audiences, generating new revenue opportunities for mobile operators, OEMs and app store owners. Building on the launch of Dalvik Turbo, Alien Dalvik signifies Myriad’s latest Android innovation by enabling Android apps to operate on a much wider range of platforms and devices. As a result, operators, OEMs and application store owners can now easily access the Android ecosystem and deploy Android applications across multiple device operating systems, all without compromising performance. From application components to complete device integration, Myriad provides best-in-class Android solutions. As afounding member of the Open Handset Alliance (OHA), Myriad has been playing a key role in Android solutions since its early days. When partnering with Myriad for Android application development or porting, operators, OEMs and application store owners will benefit from Myriad’s rich heritage in Java technology and unique Android expertise. Credit: Thanks to Zoe D for the tip!